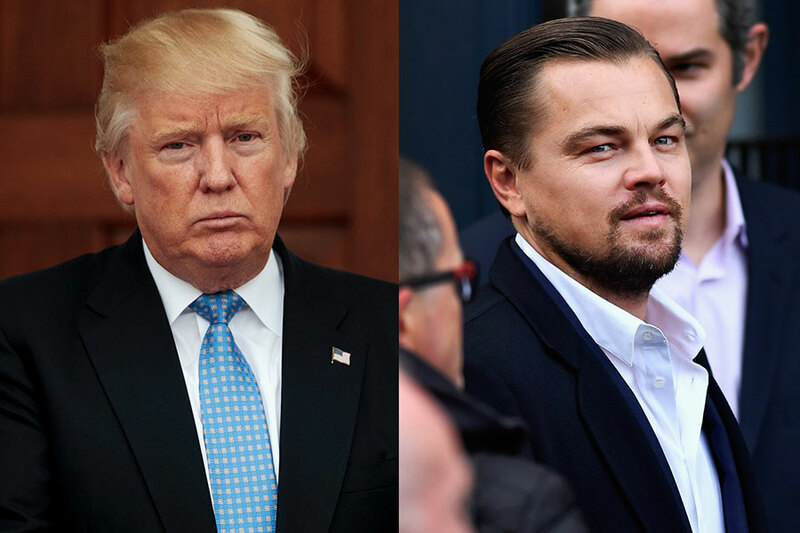 Oscar-winning actor and environmental activist Leonardo DiCaprio met with President-elect Donald Trump Thursday to discuss how renewable, clean energy could create millions of jobs for the country. The meeting came after Tump appointed Scott Pruitt, a climate science skeptic, head of the Environmental Protection Agency. DiCaprio along with Terry Tamminen, CEO of Leonardo DiCaprio Foundation (LDF) went to Trump Tower in New York City today to give a presentation on green jobs to Trump, his daughter Ivanka, and other members of Trump’s team. Tamminen stated their conversation focused on how to create millions of secure employment in the construction and operation of commercial and residential clean renewable energy generation, reported the Associated Press. DiCaprio also gave Trump a copy of his recent documentary “Before the Flood,” where he addresses the consequences of climate change in different parts of the world. Trump promised to watch it, according to NBC News. The actor met with Ivanka Trump earlier this week and also gave her a copy of the documentary. Leonardo DiCaprio and Tamminen, who was secretary of California’s Environmental Protection Agency under former Gov. Arnold Schwarzenegger, presented a framework developed by LDF. The foundation worked with leading voices in economics and the environmental field to create a detailed plan to bust a major economic revival across the United States. The project is centered on investment in sustainable infrastructure, according to Tamminen. Al Gore, former vice president and environmental campaigner, also met with Donald Trump and his daughter Ivanka on Monday, saying the meeting was “very productive.” Ivanka reportedly plans to address climate change in public despite her father’s view on the topic. President-elect Donald Trump announced Thursday that Scott Pruitt would be the head of the Environmental Protection Agency. Pruitt is the attorney general of the oil and gas intensive state of Oklahoma and has often being accused by environmental groups as a puppet of the fossil fuel industry. The news release accused previous administrations of spending taxpayer dollars on an anti-energy agenda that has destroyed millions of jobs. Additionally, the statement said that those “anti-energy” actions undermined farmers, businesses, and industries. Pruitt said in May that scientists continue to disagree about the degree and extent of global warming and its relation to human actions and has not accepted climate change despite overwhelming evidence. Scott Pruitt would be the third person at odds with an American agency’s philosophical views designated by Trump, following Ben Carson and Betsy DeVos. Carson is now head of the Department of Housing and Urban Development despite his opinion on social safety programs, which he thinks create a dependency on the government. DeVos was named education secretary ignoring the fact she has expressed that the public school systems budget should be undercut. She is a passionate supporter of private schools.